I've looked up the game. If White was playing for a win, that appears bad judgement as an engine suggests that the ending has been equal for most of the previous moves. Earlier Black could have bailed out to a simple draw, but perhaps Black was playing for a win, by foul means if necessary? The engine spots the problem in the distance and plays to avoid it. Here's another one. Today in QATAR, Adhiban-Kosteniuk. At move 41 after 17 minutes thought Adhiban played 41 Nd4-c6?? 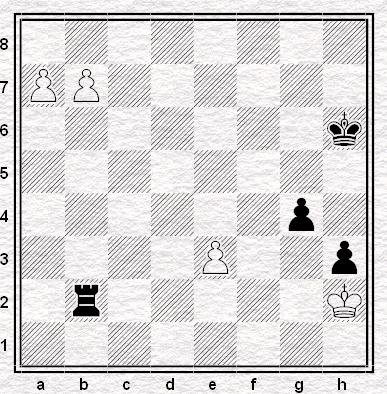 opening the long black diagonal for his opponent to play ...Qa1+ and force mate.